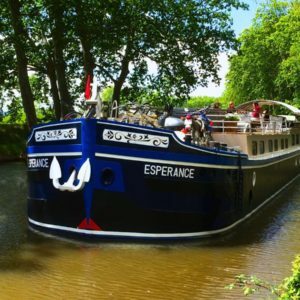 Aboard the Esperance you will be charmed by the gentle tranquility of the Canal du Midi. This majestic waterway, classed as a World Heritage site by Unesco, offers a peaceful, romantic and timeless experience that you will cherish. 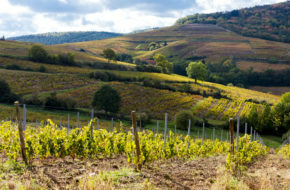 Day trips allow you to discover the beauty of the surrounding area, the authenticity of the region, and its heritage and its cultural diversity. 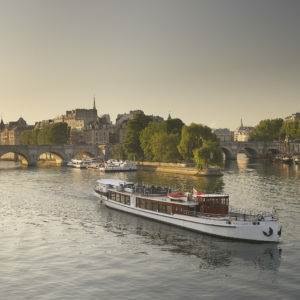 This is an intimate and exclusive European yacht experience with a gourmet dinner on Seine. A unique view from the river aboard an elegant yacht as you enjoy your meal.